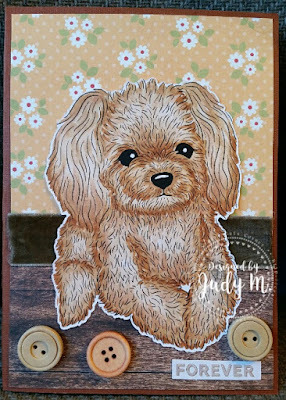 Don't Mess With Me, I'm Scrappy: Challenge # 135 ~ It Is The Crafty Gals Corner BINGO Challenge! Challenge # 135 ~ It Is The Crafty Gals Corner BINGO Challenge! 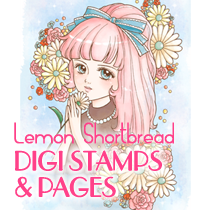 Hi All and Welcome to Challenge #135 with the Crafty Gals Corner! We have some amazing sponsors this week! Actually we always have absolutely THE most AMAZING Sponsors here at Crafty Gals Corner! Check out the gorgeous samples from the design team! This week the challenge is Bingo #4! So I really wanted to play BINGO! I am a BINGO junkie! I can't resist BINGO! See what I came up with? 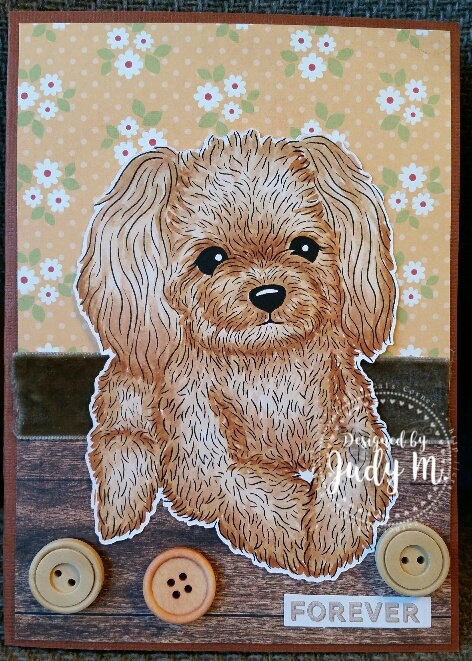 Don't you love this adorable image called Poodle Fuzzy Lil Dog by Wink Wink Ink. And for BINGO I used buttons, ribbon (the ribbon is actually what I used for the molding between the wallpaper and the floor and vintage (I felt the flower wallpaper and wood floor felt vintagy to me). I love BINGO! So we would love for you to play along! Have a look at the BINGO board and post your image on the Crafty Gals Corner Blog for a chance to win this week's prizes! You can get to the Crafty Gals Challenge blog by clicking here. You have until 11:00 am MST on August 15th, 2017 to enter! I can't wait to see what you create!